The Tuxton GAJ-006 round ceramic plate is 101⁄4 inches in diameter. 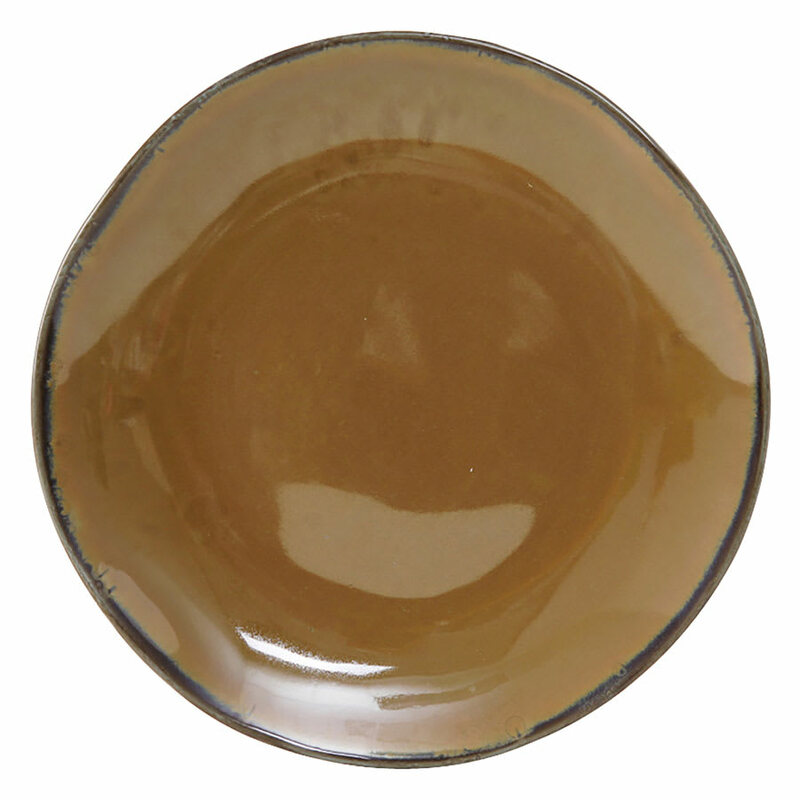 This plate is a deep brown shade named Mojave, with some black around the rim to add to the plate's natural appearance and to give your dishes a rustic flair. The ceramic is fully vitrified for durability, and the Tuxton GAJ-006 round ceramic plate is microwave-, dishwasher-, and oven-safe. This plate is lead-free for safety.